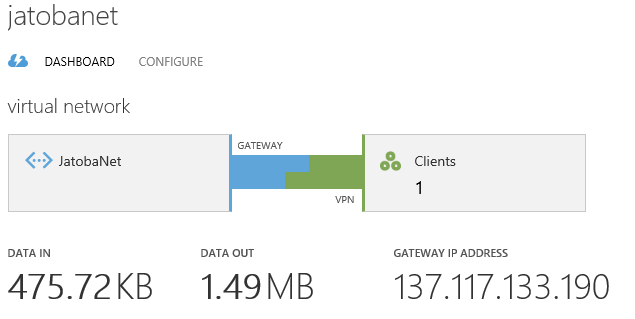 I experienced some issues with the point-to-site VPN configuration in Windows Azure too… The connection does not work beacause of an error concerning the certificates. When you write that the command for creating the client certificate didn’t work for you, do you mean the certificate wasn’t created or it was but the connection didn’t work as expected ? The original command from the documentation created the client certificate but did not use the root certificate as the issuer (it also threw an error but I don’t remember what it said exactly). Naturally, the VPN connection then failed because the client cert was not “issued” by the uploaded root cert. By using the command in the blog post, the client cert used the created root cert properly which made the connection work. I used makecert on Windows 8 (from my Visual Studio 2012 install). I used makecert from VS 2012 on Windows Seven. I have no other idea but trying on Windows 8. Strange. I did not have any other issues besides the cert creation. What error do you get when connecting? Nice post – got everything up and running! 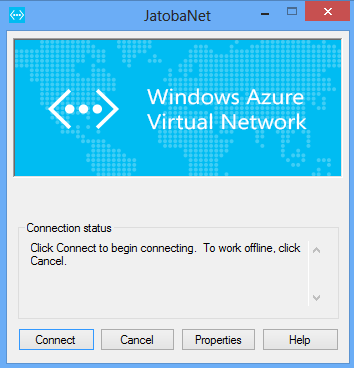 An additional question; since this is to replace the Azure Enpoint Connect, have you given it any thought how it would be possible to initate the connection at startup? It works perfectly… on another computer ! So the problem comes from my system (Windows 7 integrale edition) on my laptop and I can’t figure it out. Thanks for your post and your help.